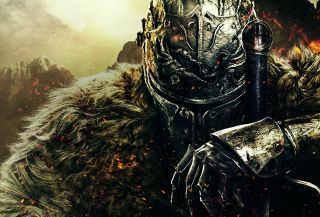 If you've ever dreamt of seeing Ornstein and Smough settle their differences with sword and hammer, then this forthcoming Dark Souls mod will please you. Dubbed Arena Mod, it allows players to control each of the RPG's many and varied bosses in custom arena scenarios. Yes, that means you will theoretically be able to sic Sif onto Ceaseless Discharge. I can't imagine how that would work, but I look forward to finding out. The mod is in development now by DaTeHaCKs, and is expected to release this September. According to the YouTube description, it's not just bosses you'll be able to control: all enemy characters will be playable, while the mod will also add some fixes to the camera and movesets, presumably to make controlling them a little easier to handle. Sounds like a good way to pass the time as we await more news on Dark Souls 3, which Wes was lucky enough to see in action at E3.